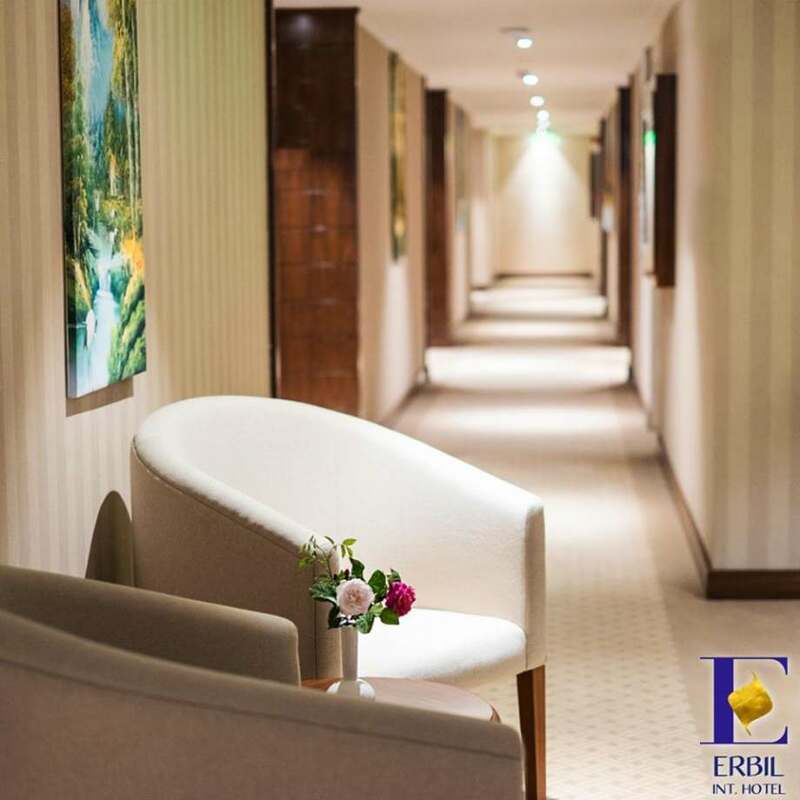 Erbil International is arguably one of the only hotels in downtown Erbil, Kurdistan that artfully blends urban sophistication with a playful lifestyle spirit. We’re a developing global destination where leisure and business intersect with tropical perfection. As one of the trendiest business hotel, in Erbil, you can surround yourself with the Magic City’s shimmering lights (most guest room and suite have one). 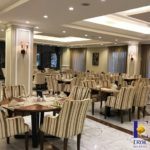 Enjoy locally sourced global cuisine at four restaurants. 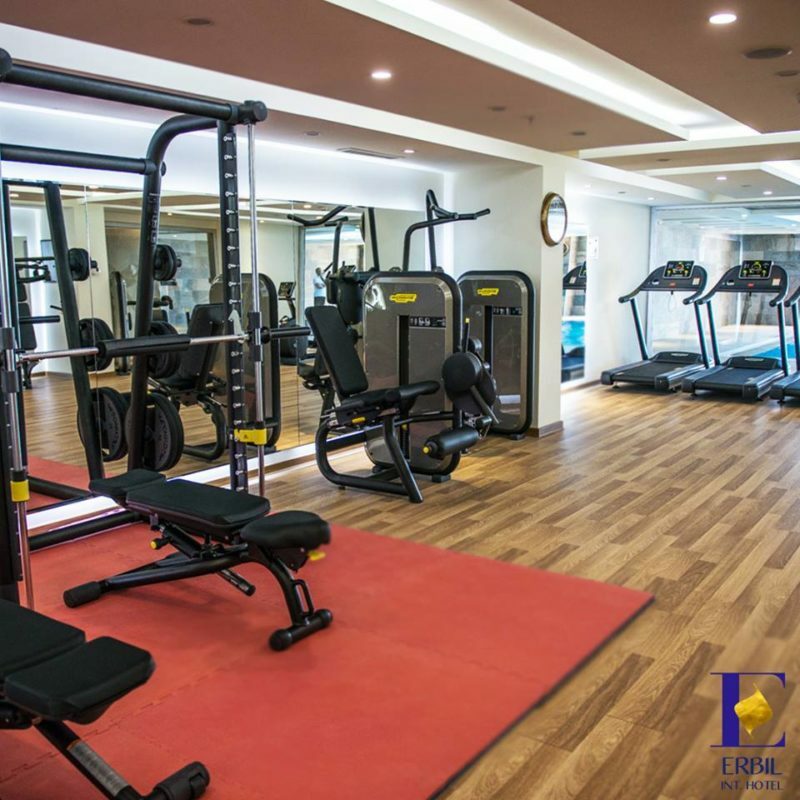 Take a breath refresh at Body Flex & spa. It’s all here for you. As hotels in downtown Erbil go, Erbil International is designed to provide you with a luxurious, relaxing stay. 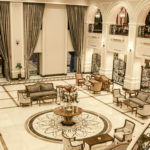 Luxury hotels, Erbil a sultry escape that is all yours and we wouldn’t think of spoiling it with anything boring or expected. 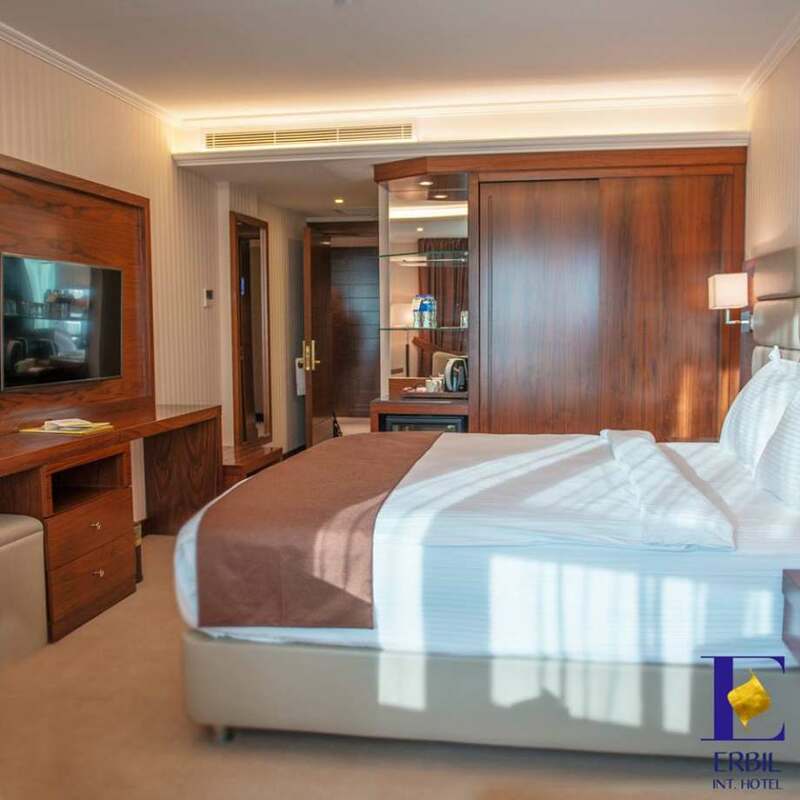 Which is why all 167 guest rooms and suites at Erbil Int Hotel a business hotel. Wrap yourself in the insanely soft triple sheeting. Contemporary design, custom furnishings, and brilliant details are what make Erbil International among the highest rated luxury hotels, Erbil, Kurdistan. 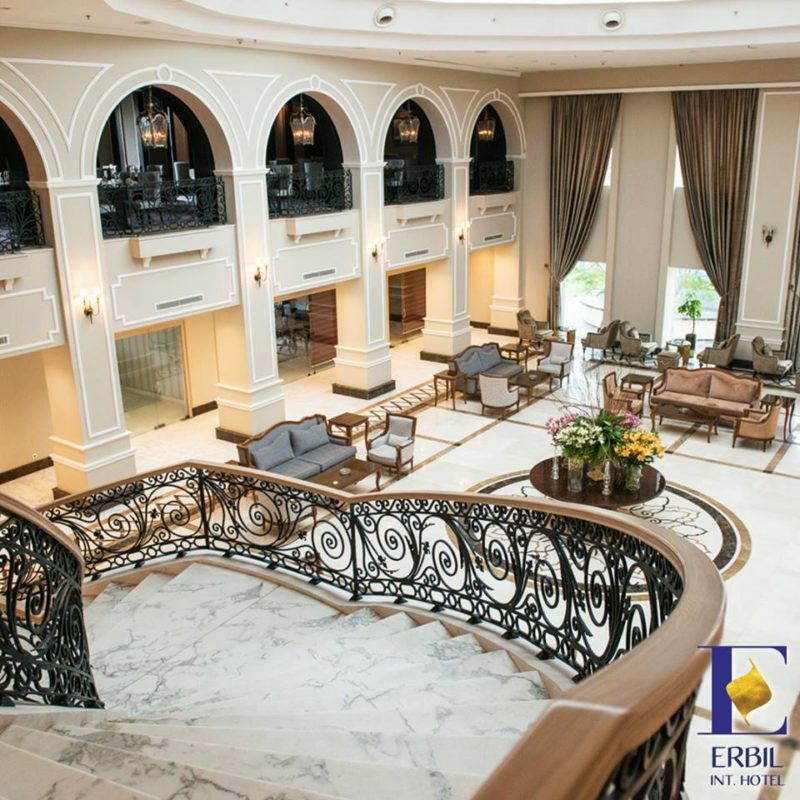 It’s in our DNA to delight and surprises you, so prepare to be dazzled at every turn while visiting Erbil International, one of the many luxurious business hotels in Erbil. 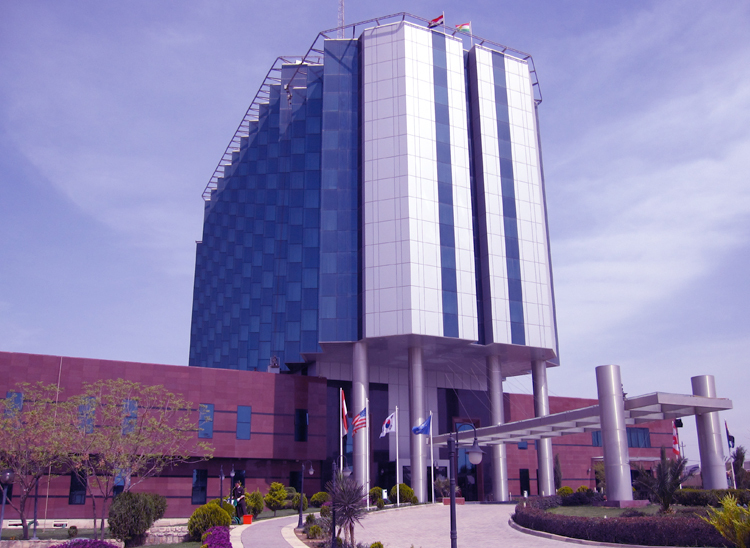 Arrive for business to spend the day or discovering the bright side of Kurdistan. Care for a swim? 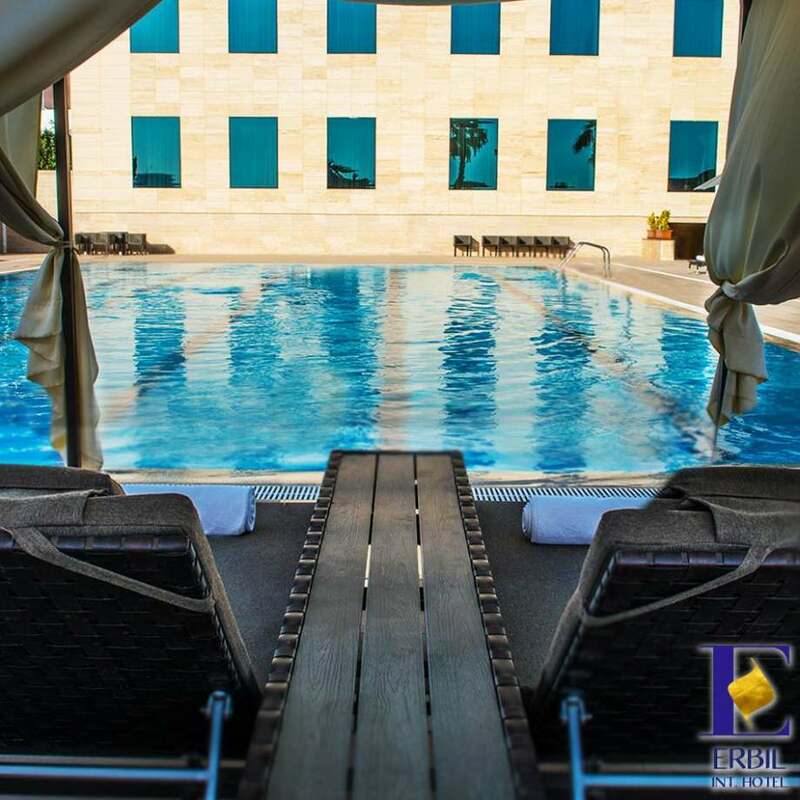 Two sparkling pools wait on the open pool with bar aside and with an indoor Pool to provide some shade from the Erbil’s climatic conditions. 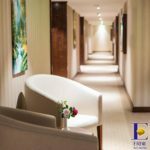 If stress has been rubbing you wrong lately, our on-site Body Flex & SPA will smooth out all your cares. 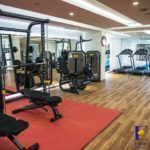 Balance & Harmony fitness club located in the center of the beautiful old city of Erbil in the luxurious Erbil International Hotel. 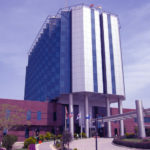 It encompasses a spa consisting of 5 treatment rooms offering the unique results driven treatments of Kurland, a beautifully appointed relaxation area, healthy bar, indoor and 25m long outdoor swimming pool and swimming pool for children, thermae experience consisting of sauna and steam bath, a gym and a retail shop for beauty products and swimwear & professional equipment sets for swimming, tennis court and beautiful restaurant. 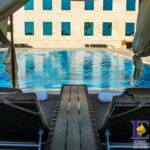 Escape from the pressures of everyday life and transport yourself to the tranquil surroundings of the Balance & Harmony where time is left at the door. Discover KURLAND, ancient Aboriginal plant knowledge entwined with modern technology to deliver high performance, luxurious spa experiences in a sensory space for men & women.